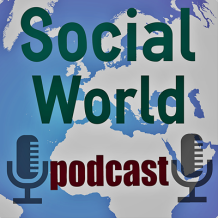 Welcome to the the first episode of the Social World Podcast . This will become a weekly event and I hope you can join us, contribute and enjoy. To subscribe to the Social World Podcast for my thoughts on the social world click here – also leave reviews and comments.